If you think Nirvana and ukulele do not fit in the same sentence, this little boy has come to show that it can work. Feng E is a young 12-year-old musician born in Taiwan who has drawn attention on the internet with his incredible covers – and on various instruments! – posted on your YouTube channel. Feng E is a self-taught musician. 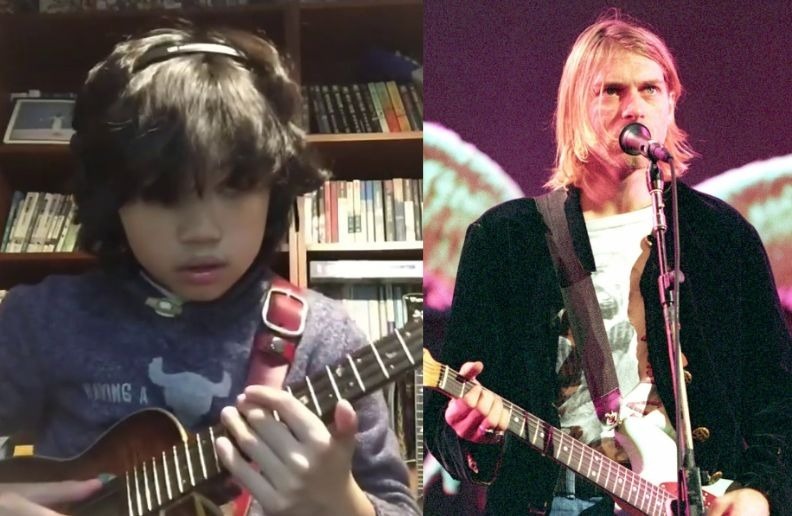 Now the boy made his version of “Smells Like Teen Spirit” on ukulele and not only proved that the result is incredible, but also showed his flawless ability on the instrument. “Smells Like Teen Spirit” was Nirvana’s biggest hit, placing high on music industry charts around the world in 1991 and 1992. The unexpected success propelled Nevermind to the top of the charts at the start of 1992, an event often marked as the point where grunge entered the mainstream.